Perhaps one of the the greatest sources of motivation for lathering up less often is the preservation of a blowout. Anyone who’s had a professional go to work with a round brush and a blow-dryer knows that there’s nothing quite like an in-salon ‘do. Keeping it for as long as possible, or at least long enough to get your money’s worth, is usually at the top of our hair care priority list. Thanks to the beauty market embrace of oil-absorbing dry shampoo, we’ve gotten rid of the greasy, three-days-in look. While this adds texture and clearly gets rid of that oil that causes your roots to fall flat to your head, it doesn’t do much for conditioning your hair with moisture. That’s where conditioner comes in—dry conditioner, that is. It’s a product that’s been out there for purchase for a couple of years now, and it’s quite unique. As you might know, it’s very similar to dry shampoo because you don’t need to drench your hair in H20 or even have it hold a damp consistency to use it. One of the main reasons we use conditioner is to send essential oils and moisture to the hair shaft, the area of your hair that generally loses these things and becomes drier faster than the scalp. Because of the popularity of heat styling (see your curling iron, straightener, blow-dryer, and such) and even a regular dip in a chlorinated pool, this is exacerbated. Dry hair also negatively lends itself to breakage, unfortunately. 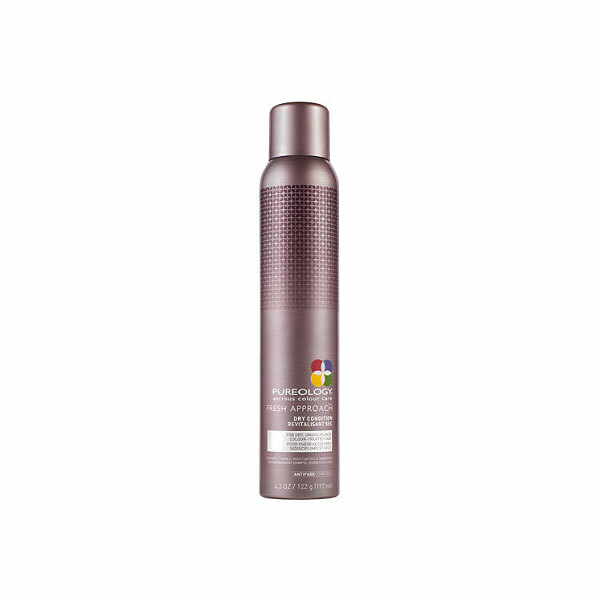 Dry conditioners apply in a spray and are usually packaged in the same kind of container as dry shampoo. What they deliver is light oils that hydrate your locks and sometimes proteins that go to work on repairing or strengthening your hair shaft, amongst other vitamins. They also target dullness, giving your hair a healthy-looking shine. If this sounds like it’s up your alley, check out some of the products available now below. It shouldn’t be that shocking that Blow, a blow-dry salon, has its own version of a dry conditioner. 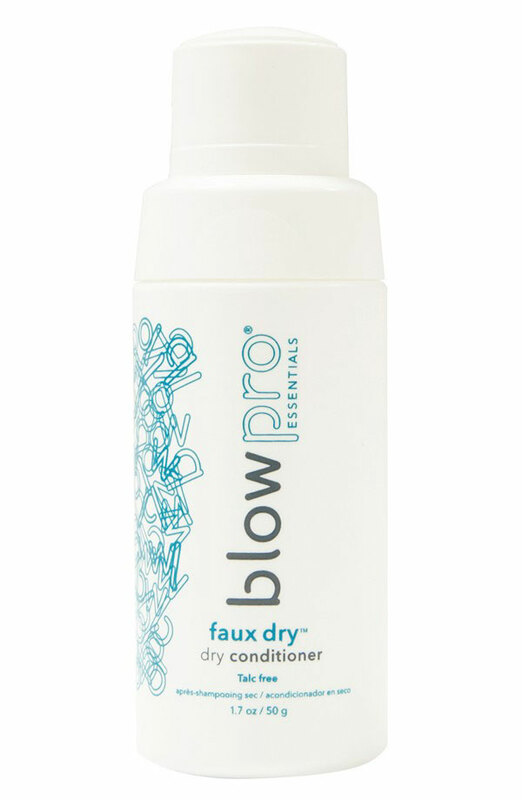 Blowpro’s product includes varying hydrolyzed proteins that moisturize, repair the hair’s barrier function, as well as possesses a wheat protein to boost shine. It’s a tiny container for $20, but it’s probably not something you’re going to be using every day—and anywhere else than from mid-way to the ends of your locks. Kim Kardashian recently admitted that she only washes her hair once every five days, so now we’re definitely interested in her own personal use of dry shampoo and conditioner. The hair care line she just launched with her sisters, Kardashian Beauty, includes a dry conditioner, as well as a shampoo, that’s touched with the collection’s signature Black Seed Oil, a moisturizing oil that leaves your hair soft and shiny. Another Kim admission? She uses this oil in North West‘s hair and has used it on her body. Be mindful, though. This conditioner includes a sparkly addition in the oil to give your hair even more of a shimmer and sheen. Pureology’s products are known for being big players in the color-treated and sulfate-free hair care market. Their version of the product has an oil-of-choice, too. It is packed with orange oil, an ingredient that’s said to help moisturize and give hair shine. 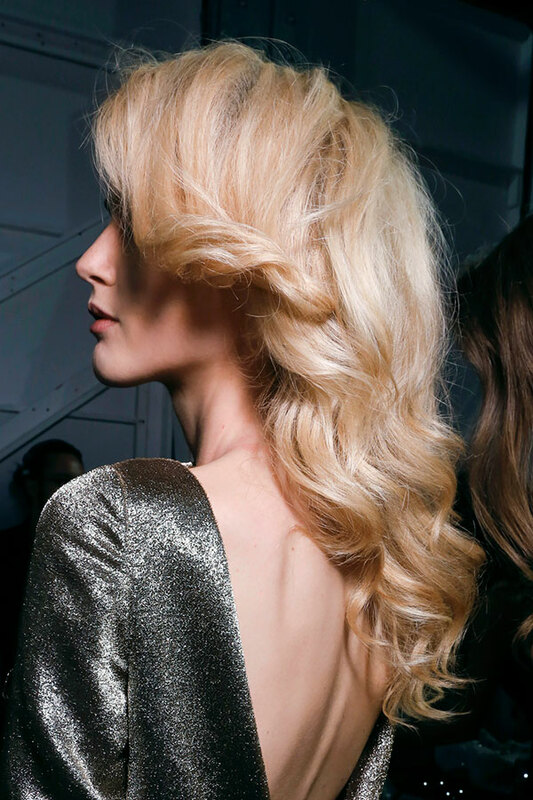 In treating dry hair, it also works to fight away frizz and static. 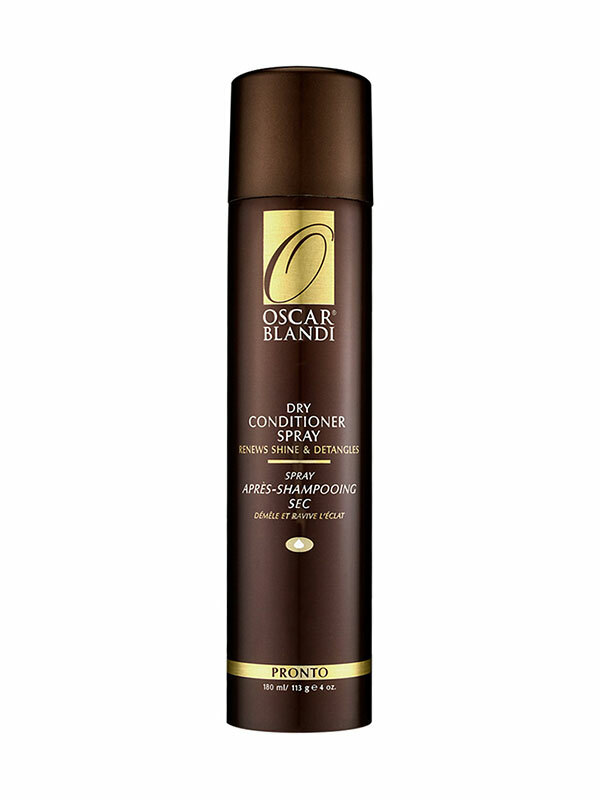 One of the most recognizable products out there, Oscar Blandi’s dry conditioner stands out. In addition to providing dry, dull hair with super lightweight moisture and protection in the form of hydrolyzed keratin and sunflower oil, it also prevents tangles and helps to de-tangle knots that already exist. After you’ve sprayed it in, work from the ends up with a comb or a brush to gently undo tangles.